This is a summary of just some of the equipment and the types of exercises that would have been done, all in "Malpi Gaj" at Largo House, Upper Largo, Fife. 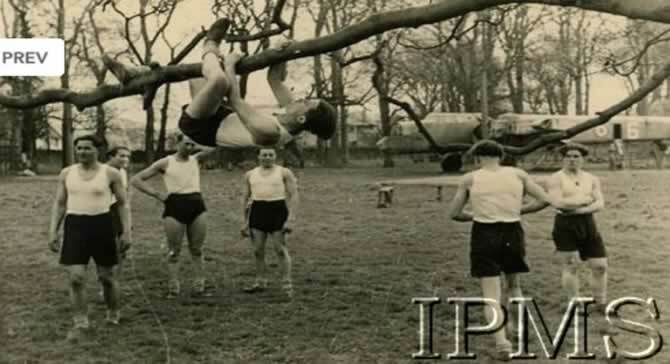 Most of their exercises at Malpi Gaj were focused on strengthening below the knees, specifically for the parachute landing. 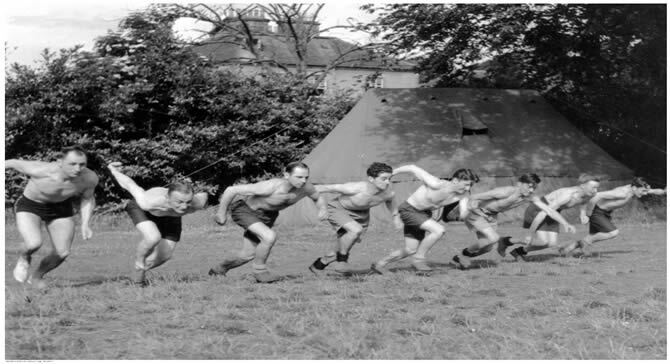 It's ironic that so many legs were broken in the process of strengthening the lower legs..
From the start General Sosabowski insisted on top quality training for the 1st Independent Parachute Brigade. 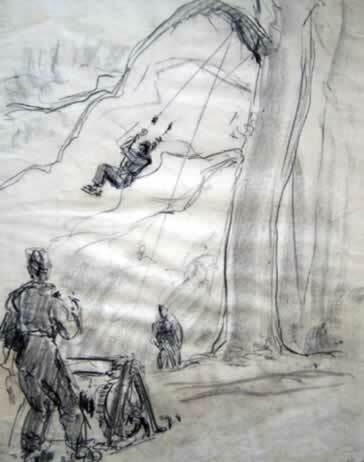 The principal rule was that every soldier had to be able to do a parachute jump, irrespective of their rank or function. Parachute training could be abandoned only if decided by the brigade’s medical board. 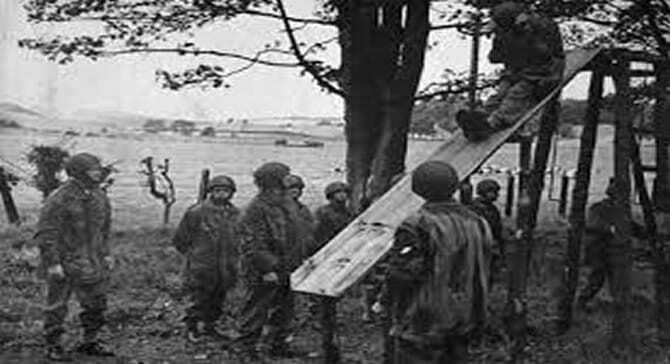 Soldiers who could undertake parachute jumps but could not overcome fear were transferred out over to other Polish forces. 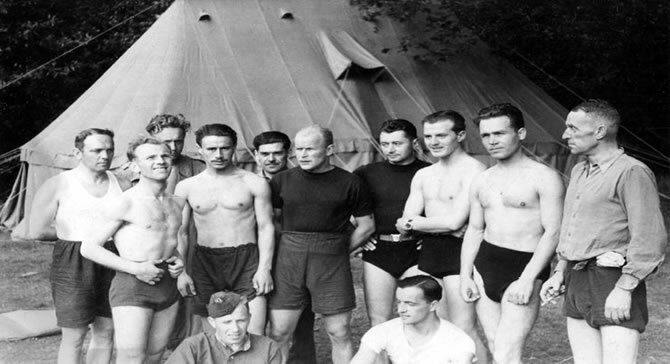 Sosabowski wanted only fearless individuals in this unit. Secretly, all parachutists were afraid of the parachute jumps but there were those who were scared and jumped anyway and those that were scared and did not jump. General Sosabowski, at the age of 50 himself became a bona fide parachutist and undertook the same training as the recruits. 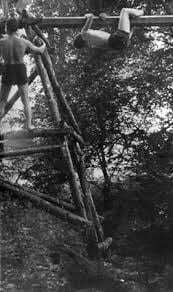 Therefore, he too was at Malpi Gaj, leaping, jumping, swinging from trees and doing everything the trainees were doing. It really must have been quite a sight to walk past and see this training in progress! 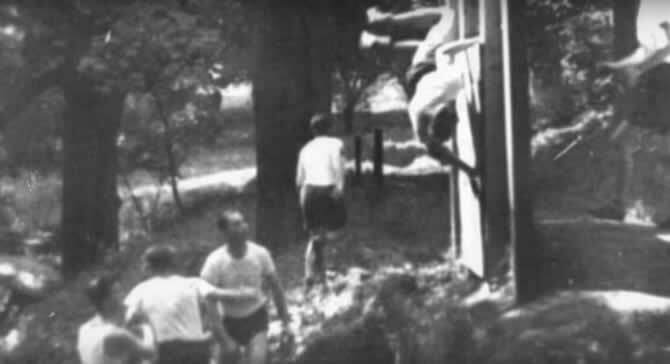 Sometimes, even the local school gym was requisitioned for training purposes. Apparently, the physical education was so intense that "stomachs reduced and lungs expanded" inside 2 weeks according to General Sosabowski's biography. It really was an intensive workout, the best gym workout you could possibly do. 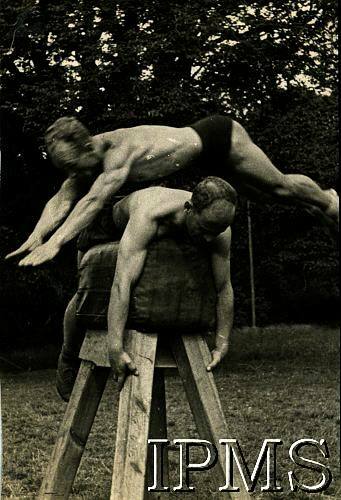 To know my grandfather, Wladyslaw Hoscik, trained there brings me great pride, I knew him as an old man with a stick, but in his day he was superfit! 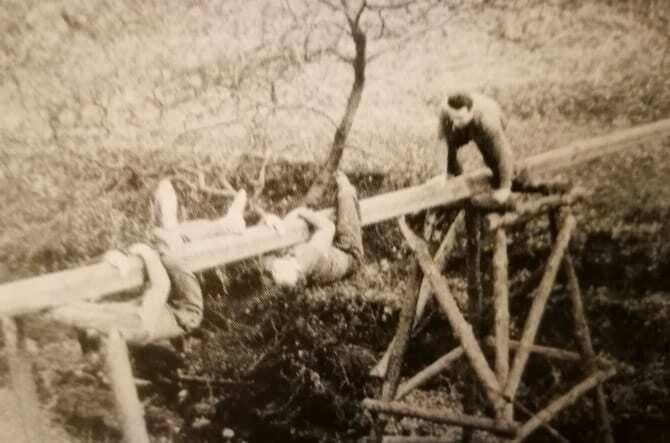 Often at the end of the first day of training, members of the 1st Independent Polish Parachute Brigade (1 Samodzielna Brygada Spadochronowa) could not stand on their own feet. But there was no mercy. One negative score at the end of the course from any of the instructors resulted in a repeat of the entire training. Wow! Below are some of the pictures of Malpi Gaj. Using various life story accounts I have attempted to explain what each piece of equipment is and how it was used. 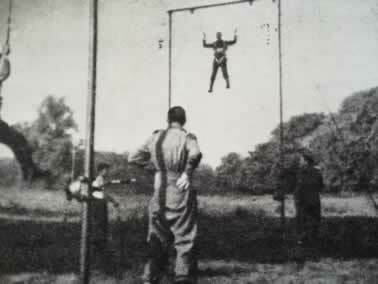 The trainee would be hoisted up to a great height before the instructor pulled a lever dropping the parachutist on a wire. 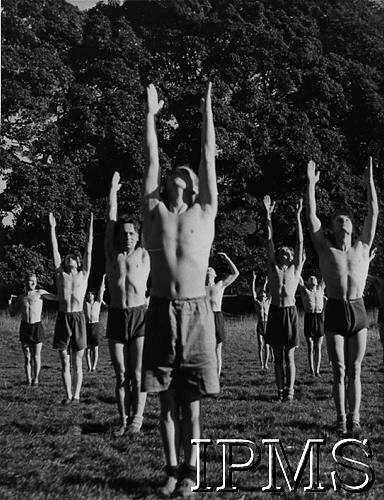 The exercise was designed to teach the trainee to instinctively make all movements automatically. They learned to keep their arms and legs together all the time as you would do during a parachute jump from the plane, descent and landing. Their would be no time to think during the real thing so they had to learn instinct to do it. Within a week trainee parachutists would be jumping from the parachute tower at Lundin Links (and breaking ankles and legs int he process) so this stage of the training was incredibly important to ensure their continued physical health at the parachute tower! 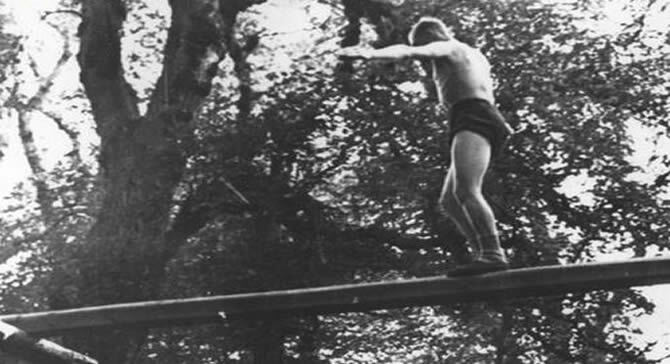 Stanislaw Jankowski vividly remembers the "malicious swing". 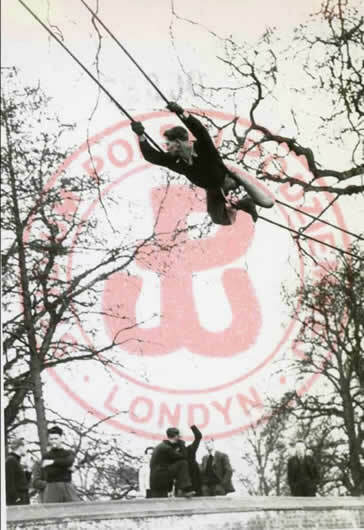 He recounts "The skills of falling to the ground were taught to us by a very malicious swing. Seemingly ordinary, like nothing. When the student sat on it for the first time and well rozbujał, he reminded himself of children's years. The instructor standing next to us talks to us about an indifferent subject. A slight movement of the hand and the unexpectedly unfastened delinquent lands in the least expected position. But after a few such tricks, even the most cunning instructor could not surprise us. Prescription for parachute landing on the ground, especially for skiers, is very simple: jump softly, feet together, on bent knees, do not try to stop." A few of these would be sure to have your deltoids singing with pain! Pulling on the rope you would hoist your entire body weight up to the top of the rope and then slide down with the rope snaked between your legs. Ouch! 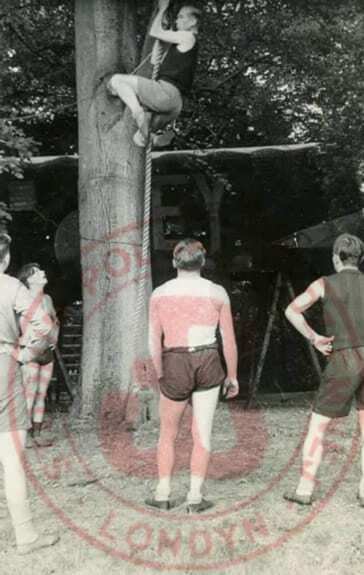 A trainee had to climb up to the ropes and then lie across them, hooking their feet around ropes to attain stability. They would then pull themselves along the ropes, all the time using core muscles (i.e abdomen) to remain stable. The ropes could twist and turn suddenly throwing the trainee to the ground. Tis device worked the upper arms and the abdomen muscle groups. Given the gradient of the land in these photos, I remain convinced the balance beam was in the heart of Malpi Gaj, to the right of the Eagle gates where there is ravine consistent with the slopes in these photos. 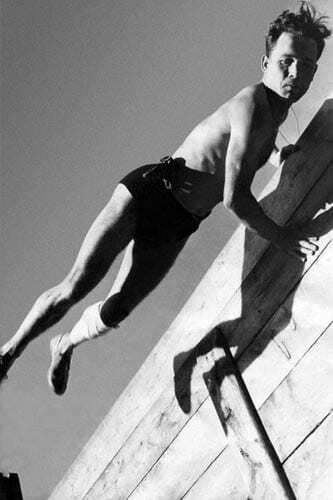 If your dad or Grandpa trained at Malpi Gaj at Largo House, you can take massive pride in this level of fitness and agility. And to think just 2 or 3 years prior he had been in Siberia, malnourished, sick and practically at deaths door! 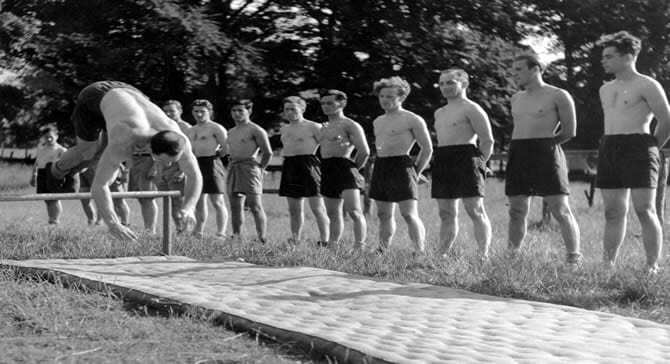 The balance beam taught overall agility, balance and worked the core muscles as well. As we can see, recruits used it many different ways. Wow, how fit and ripped do these guys look? I'm a little envious I must admit! Hard to say what the purpose of the slide was. A little fun perhaps? This photo captivates me. It claims to be taken at Largo house and yet none of the background is recognisable. Further there is a whitely bomber fuselage in the background (for practicing exits from). I believe this to have been taken behind The Golf Hotel in Elie but lack any proof. Can you help? If you have any info please contact me. Nice shot of Largo House in the background. Running would help strengthen the quads for ground assaults. 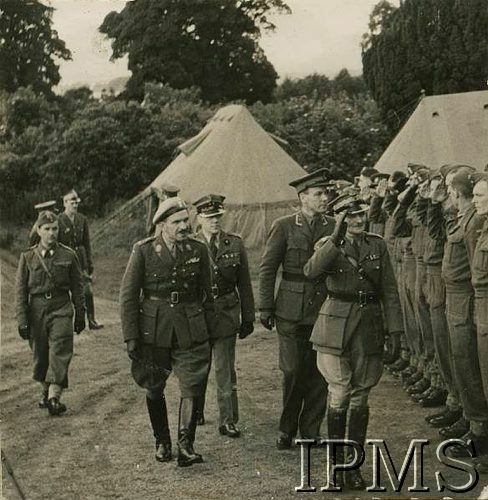 Same location, here the recruits are being inspected in uniform by General Sosabowski. Discipline was critical to Sosabowski and the Polish soldiers were subject to many frequent inspections. In his memoirs Sosabowski remarked how quickly the men went from being ill disciplined and malnourished into an orderly disciplined unit ready for action. EXTREMELY RARE VIDEO FOOTAGE OF MALPI GAJ! I was very fortunate that my cousin Ewa is as avid a fan of research as I am. This video is extremely exciting as it gives you "fly on the wall" insight into what Malpi Gaj was all about. Most of the "official pictures" of Largo House, the parachute tower and the 1st Independent Polish Parachute Regiment were taken alongside this video, i.e they were done simultaneously from the same angles. It really brings those well known pictures to life and also helps you understand the layout of Malpi Gaj at Largo House in Upper Largo, Fife. The full video can be watched on this link to youtube but you may find watching the clip below the quick way to get to the relevant part. Enjoy! Its an AMAZING piece of video. All These Ripped Young Men And Not A Girl In Sight? General Sosabowski noted in his book that the soldiers were very fond of the local girls and very many of them got the local girls pregnant to the point Sosabowski visited local ministers and asked them to warn the congregations about the dangers of dalying with the soldiers. Eventually a welfare officer was assigned to dealing with the fall-out of this and ended up having a full time job managing the issues created! Sosabowski also passed a law that no soldier could marry until he had passed an English examine as it was clear many wishing to get married knew not a word of each others language.